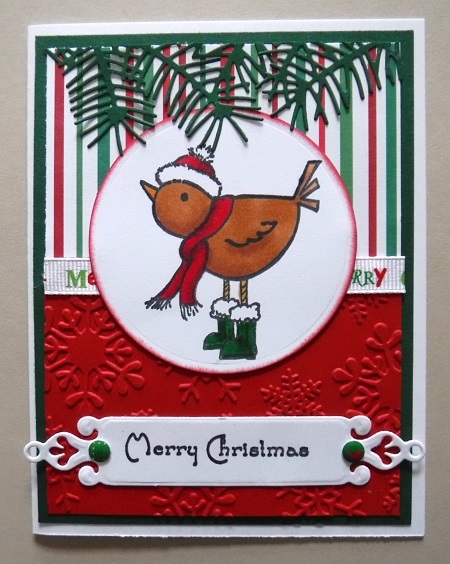 I used another bird for the B prompt on this card. The stamp is from See D's. I used a greenery die at the top. The saying is from Sparkle N Sprinkle. This bird is adorable! I have a couple bird stamps out, too! Hope to get them made into cards soon! This is adorable! I love how you put the greenery above the Bird to give it something to look up toward.